Attic Air Ventilation | Attic HVAC Systems | Atlanta Supply Co. In effort to provide our customers with the most effective and innovative solutions to unique project requirements, we have been continuously adding and improving our products every year. 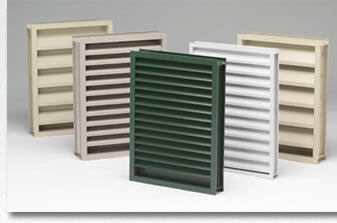 Our attic air ventilation products come in various types, several sizes and different colors. Most of the attic HVAC system products we have are in stock at our warehouse and we will fulfill your order promptly. Because of our high quality products and excellent customer service practices, we have acquired many satisfied customers. We are sure that you will be 100% satisfied with our attic air ventilation products and exceptional services. No matter what you are looking for, we can help you track it down — and get it quickly. We offer same-day shipping on most attic HVAC system items. Place your order online or call us toll-free at 1-800-972-5391 if you require additional assistance regarding our attic venting solutions and proper attic ventilation. 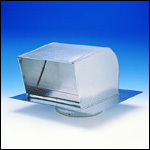 Roof Vents - This includes roof vent caps, flashings, and roof exhaust hoods for furnaces, water heaters, dryers, microwaves, and just about any other application that you could think of. Insulation & Tape -Ductwrap, reflectix, radiant barrier, tapes, and mastic. Eve Vents - This includes eve vents, soffit vents, and eve exhaust vents for dryers and attic/roof ventilation.